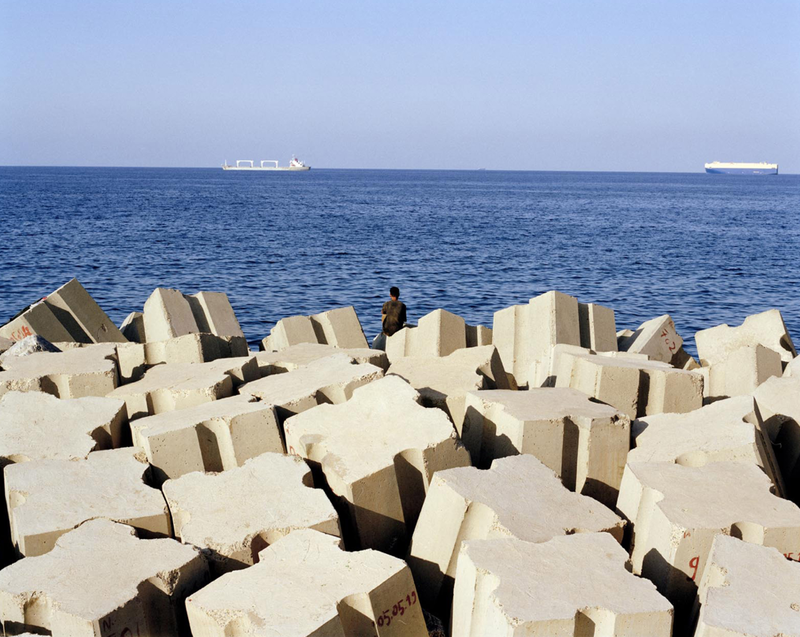 Kader Attia: Square Rocks | Rochers Carrés. Kader Attia is a French artist of Algerian descent. He grew where most migrants grow up in Paris – in banlieues, the suburbs of the city. Attia uses his experience of living as a part of two cultures as a starting point to develop a dynamic practice that reflects on aesthetics and ethics of different cultures. 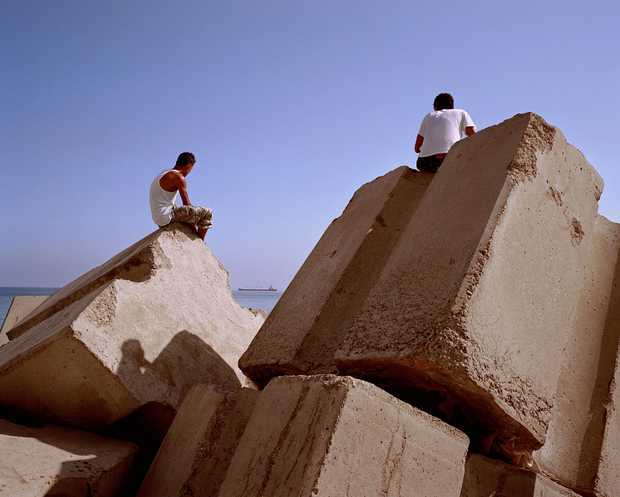 His series Square Rocks (Rochers Carrés) includes Algerians sitting on huge, jumbled concrete blocks at a beach in Algiers that locals call “rochers carrés” (square rocks). 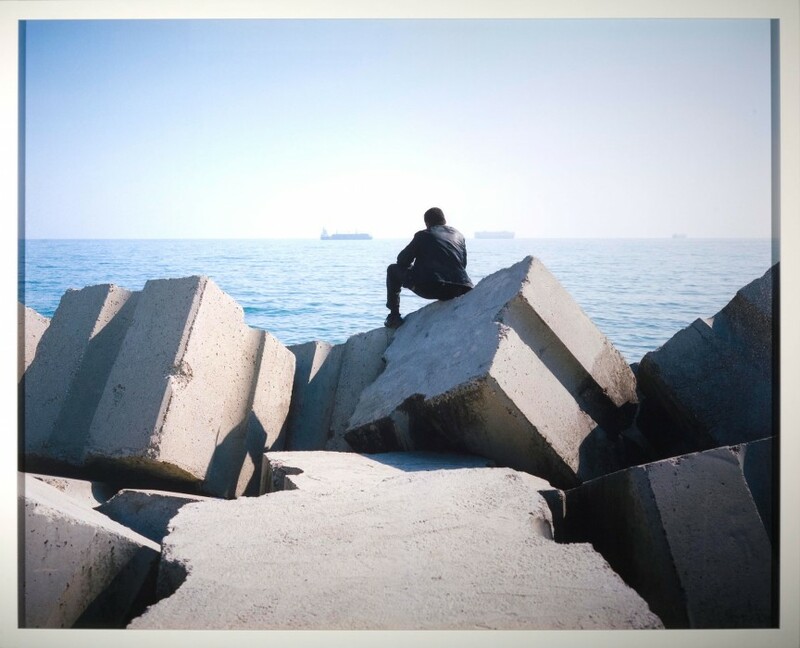 It’s a beach of Bab El Oued, a poor neighborhood in Algiers, where the government had erected these huge concrete blocks to prevent young men and women from taking boats across the Mediterranean sea to Europe. 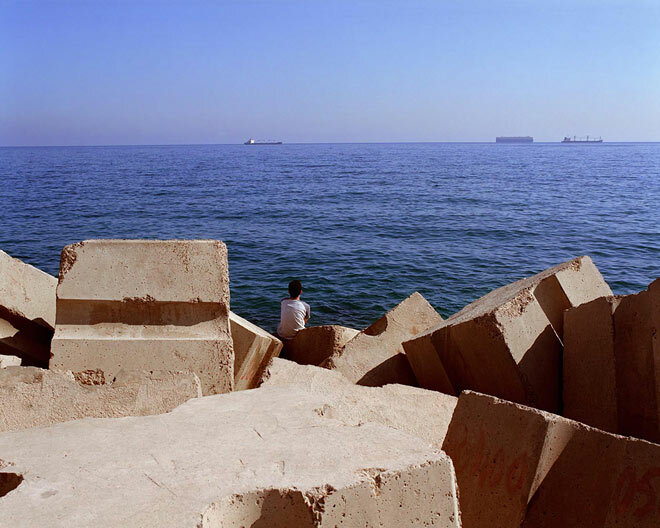 Photo installation by Attia presents an actual architectural structure that sets a boundary, a no-trespassing zone. 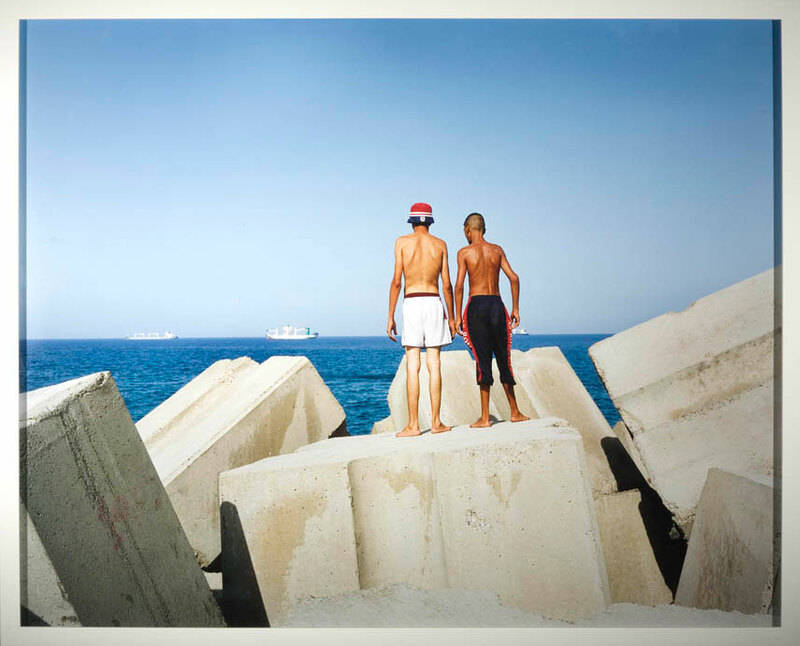 In each photograph, you see one or two young men or teenagers gazing pensively at the Mediterranean and beyond, presumably toward Europe and its questionable promise of a better life. It’s been seven years since Attia took these photos. Yes, they’re still relevant. It’s hard to imagine they will stop being relevant anytime soon. There are millions of people sitting and waiting, still being allowed to do only that. And there are many Square Rocks, all over the world. There are so many people still looking out to the horizon, seeing it as space limited, a wall, a boomerang. And yet, those walls, limitations, boomerangs, remain invisible to people looking from the other shore. They do not know, or don’t care enough to know, that the horizon has its ending. Behind the blue line, a square rock and people waiting. For more on Kader Attia and his work, see his official website. → The Book To Read: War Works Hard by Dunya Mikhail. ← Playlist: Maghawir By Mashrou’ Leila.